DelightfulDeals is the PUP that uses misleading techniques to prevent removal. Use Reimage to locate malicious components and get rid of them faster than with uninstall instructions. A full system scan blocks virus reappearance and prevents traffic to malicious domains. 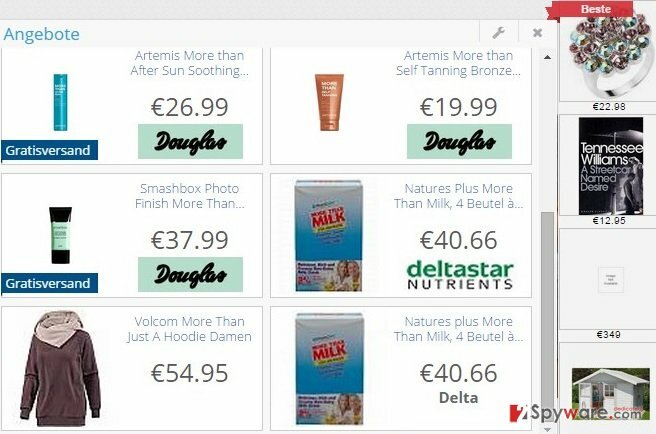 How can DelightfulDeals hijack my computer? How to remove DelightfulDeals virus? 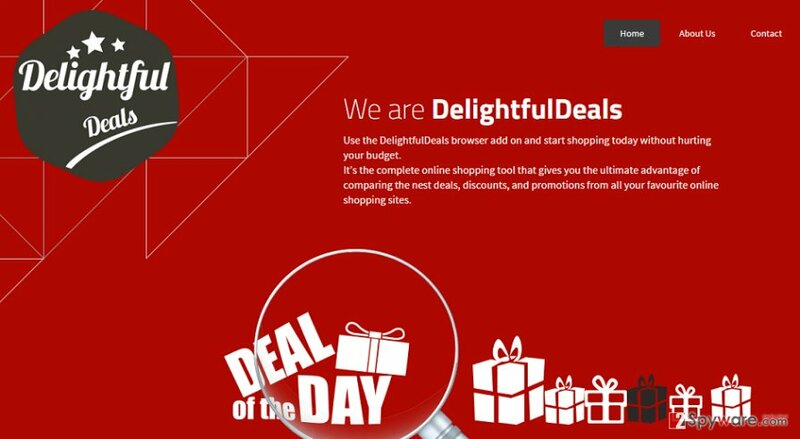 Developed by CBS Group, DelightfulDeals pretends to be a ‘shopping assistant’. 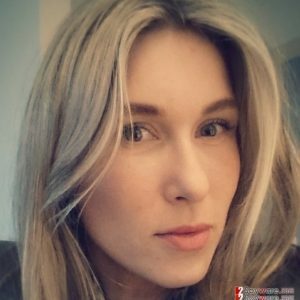 There are tens or even hundreds of apps that promise people to save their time and money by providing them with the information about the best deals, discounts, coupons, promo codes, and similar content. However, if you are interested in the opinion of security experts, you should be careful with this application because it’s just another adware and potentially unwanted program (PUP) that is used for sole purpose – affiliate marketing. In most of the cases, it spreads bundled with various freewares. In addition, the advertisements that it displays (“Ads by DelightfulDeals”, “DelightfulDeals Ads”) may annoy you to death. Since they are usually displayed in such intrusive forms as pop-ups, pop-unders, banners, in-text links, full-page ads, and other intrusive forms of advertisements that may sometimes cover the majority of the page that you are visiting and prevent you from browsing the net normally. On top of that, those advertisements may even expose you to unreliable third-party websites where you may be seduced to install other potentially unwanted programs. However, you should beware not only of DelightfulDeals redirects but also cookies that it installs and data leakage that it may cause. Security experts warn that this adware is capable of collecting information like, for instance, IP address, PC’s location, email address, search terms, mostly visited websites, clicks, etc. Despite the fact that it’s not personal, third parties tend to use it for email spamming or misleading advertising. Therefore, if you have started suspecting that adware has hijacked your web browser, run Reimage or another reputable anti-spyware and remove DelightfulDeals virus without a delay. DelightfulDeals removal will help you to maintain PC’s stability and security, so don’t wait any longer. Our security experts have prepared step-by-step removal guide that you can find down below. Even though people commonly decide to remove adware-type programs manually, this way you risk leaving other PUPs lurking on PC’s system. Therefore, our recommendation would be to check PC’s system using the help of a reliable anti-malware. Here, look for DelightfulDeals or any other recently installed suspicious programs. Wait until you see Applications folder and look for DelightfulDeals or any other suspicious programs on it. Now right click on every of such entries and select Move to Trash. When in the new window, check Delete personal settings and select Reset again to complete DelightfulDeals removal. Once these steps are finished, DelightfulDeals should be removed from your Microsoft Edge browser. Here, select DelightfulDeals and other questionable plugins. Click Remove to delete these entries. Now you will see Reset Firefox to its default state message with Reset Firefox button. Click this button for several times and complete DelightfulDeals removal. Here, select DelightfulDeals and other malicious plugins and select trash icon to delete these entries. Click Reset to confirm this action and complete DelightfulDeals removal. Here, select Extensions and look for DelightfulDeals or other suspicious entries. Click on the Uninstall button to get rid each of them. Now you will see a detailed dialog window filled with reset options. All of those options are usually checked, but you can specify which of them you want to reset. Click the Reset button to complete DelightfulDeals removal process. This entry was posted on 2015-09-28 at 01:58 and is filed under Adware, Viruses. You can quickly scan the QR code with your mobile device and have DelightfulDeals adware manual removal instructions right in your pocket. How did you remove DelightfulDeals adware?